When British Egyptologist Howard Carter first opened the tomb of Tutankhamun in 1922, he found two trumpets—the world’s two oldest intact musical instruments, silent for nearly 3,000 years. No one knows how well-used they were during King Tut’s reign, but they’ve had a very unquiet last century, and the BBC’s superb “Ghost Music” radio show tells their incredible story. In modern times, the story starts on April 16, 1939, when, after three mute millennia, the trumpets were finally sounded by James Tappern, a British bandsman, during a BBC radio broadcast from the Cairo Museum (Tappern improvised a majestic-sounding tune). The broadcast was heard by millions around the world. The trumpets, which are decorated with martial symbols, are said to be able to loose the dogs of war: England entered the Second World War on Sept. 3, 1939, only a few months after the BBC broadcast. 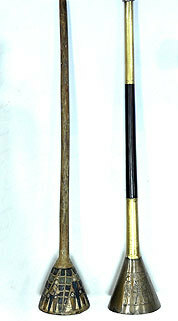 And according to the Cairo Museum’s Tutankhamun curator, one of the trumpets was blown by a member of the staff a week before the Egyptian revolution began. What 'union' meant Why did so many Northerners volunteer to fight in the Civil War? That question is still hotly debated today, not just by historians but also by ordinary Northerners and Southerners. Broadly speaking, historians are split: Some see the North as engaged in a fight to end slavery, while others see a war driven by an incoherent set of selfish political and economic imperatives. 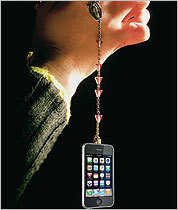 iConfess Confession, a Roman Catholic App is a handy application for the iPhone that lets you keep track of your sins. As the app’s developers put it, it’s “perfect for every penitent.” But the notion of having a confession booth in your pocket has, unsurprisingly, stirred up some controversy. The app was developed by a small American company, Little iApps, in consultation with Catholic clergy, and has even received an imprimatur from an American bishop. More recently, though, the Vatican itself has weighed in, pointing out, quite forcefully, that “one cannot talk in any way about a ‘confession via iPhone.’” Confession, the Church insists, happens in person, with a priest. The developers, for their part, never intended Confession to substitute for confession. The app is designed only to help you track your sins, so you don’t forget them during the actual sacrament. In fact, they made the app in response to an essay by Pope Benedict XVI himself, called “Truth, Proclamation, and Authenticity of Life in the Digital Age,” released last summer. Digital life, Benedict writes, helps us communicate better—but also challenges “the authenticity of one’s own being.” The developers at Little iApps, all practicing Catholics themselves, aim to bring a little spiritual authenticity to the digital world.